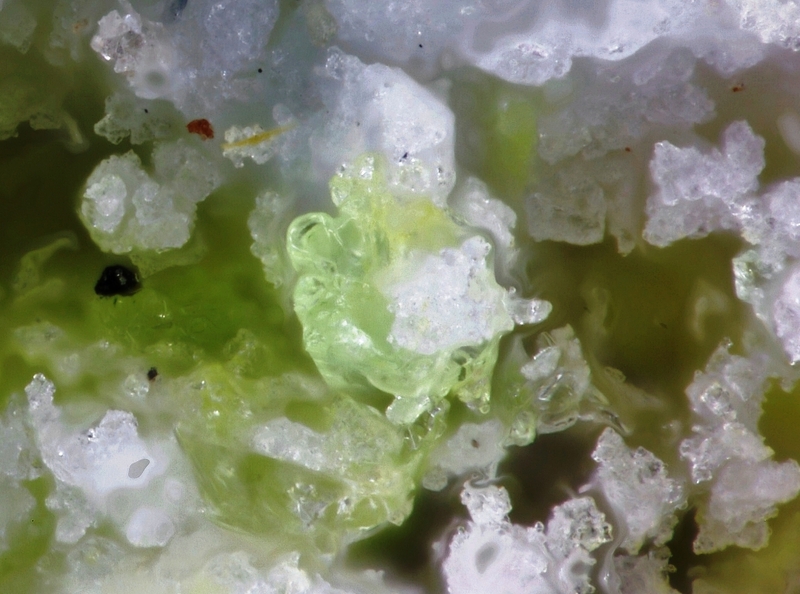 Tabular, yellow-green crystals of rare plášilite IMA 2014-021 on matrix from the type locality for the species. 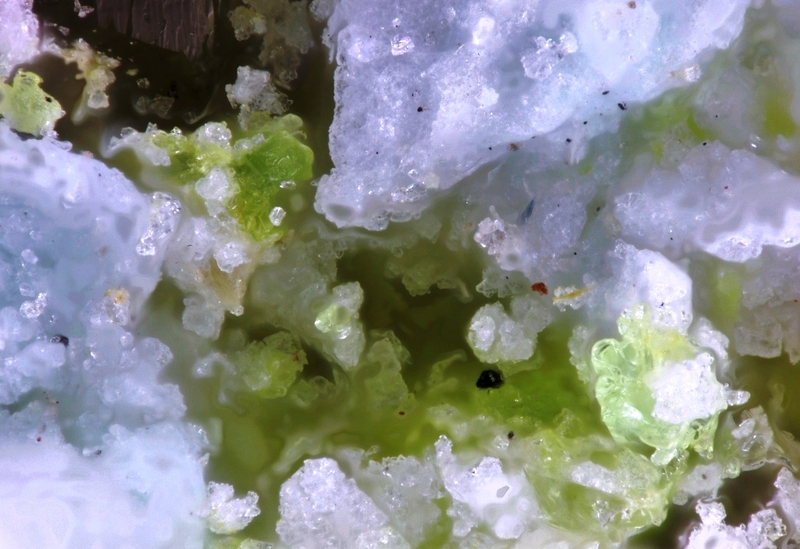 Associated with yellow green aggregates of rare fermiite IMA 2014-068. Analyzed by Dr. Travis Olds. 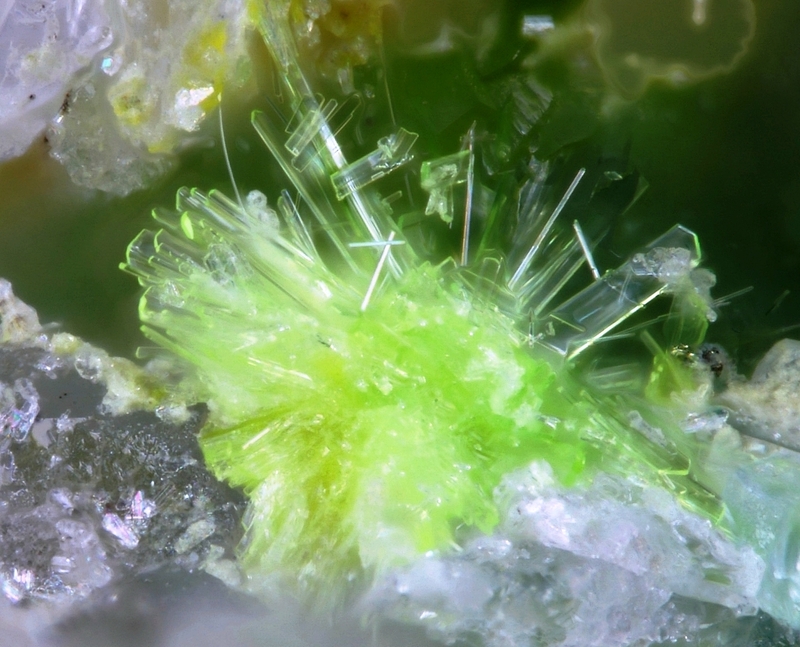 Plasilite is named after Dr. Jakub Plášil (born 1984), crystallographer at the Department of Structure Analysis, Institute of Physics, Academy of Sciences of the Czech Republic, for his significant work on the crystal chemistry of hydrated oxysalts and hexavalent uranium minerals and compounds. 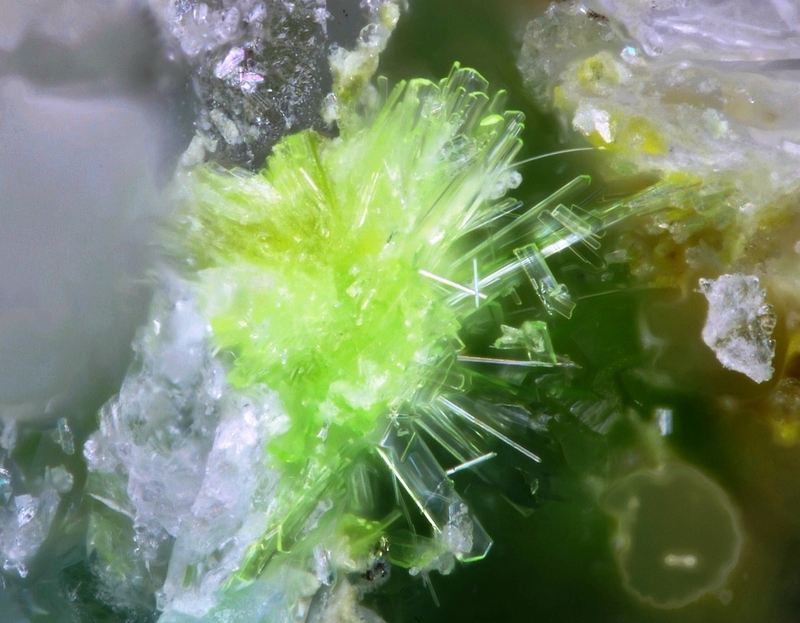 Fermiite is named after Dr. Enrico Fermi (29 September 1901, Rome, Italy - 28 November 1954, Chicago, Illinois, USA), Italian-American theoretical and experimental physicist.